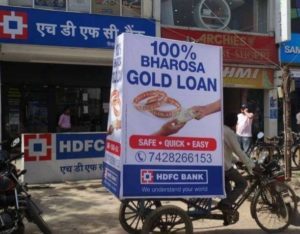 Transit advertising services in India.Transit branding consist of bus branding,cycle advertising,car branding on UBER and Ola cabs,Tricycle branding etc. 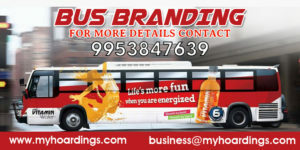 MyHoardings is leading agency for transit media services in Bengaluru,Chennai,Hyderabad,Delhi,Mumbai and Gurugram. 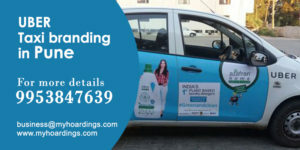 Train advertising,Metro Branding and taxi advertising are gaining momentum in Indian OOH Advertising sector. Bus Branding for nationwide ad campaign! 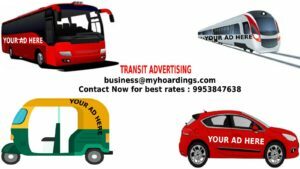 Transit Advertising: The pilot of your brand promotions! Cycle Branding : The budget friendly way to promote your brand!